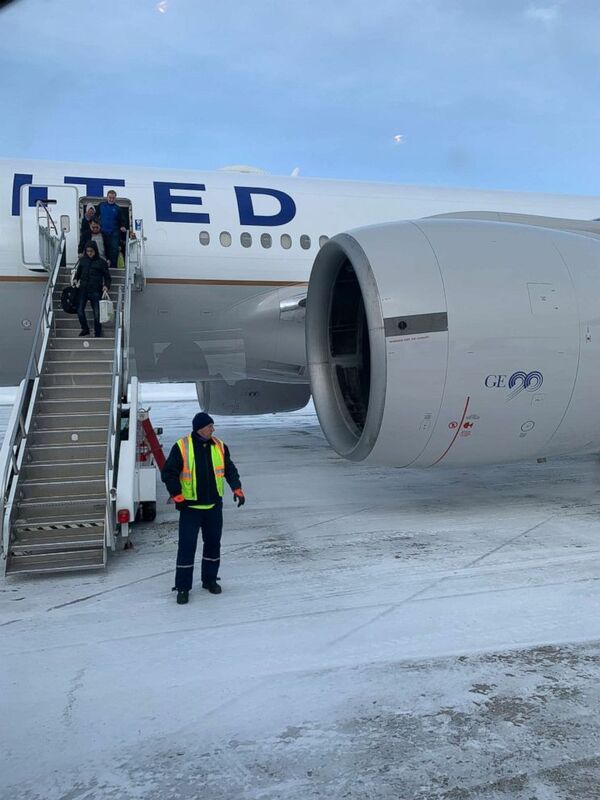 Passengers on a United Airlines flight were stranded for more than 16 hours, and many had to sleep on the plane, after the jet made an emergency landing to aid a sick passenger. 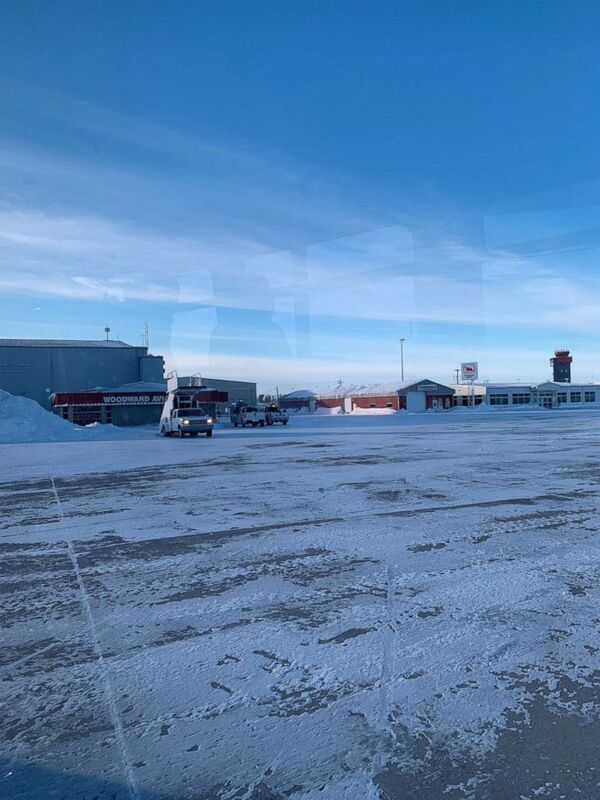 Medical personnel met the aircraft at Goose Bay Airport in Newfoundland, Canada, and transported the passenger to a local hospital, but a mechanical issue kept the plane from taking off again. Medical personnel met the plane in Goose Bay, Newfoundland, where a sick passenger was brought to a nearby hospital. January 20, 2019. The travel nightmare got even worse when passengers realized they wouldn't be able to leave the plane while crew members worked to fix the issue. "The airport did not have customs officers overnight so we were not able to let customers depart the aircraft. An alternative aircraft is being flown in to transport customers back to Newark," the airline said in a statement. "We apologize to our customers and our crew is doing everything possible to assist them during the delay." The passengers had to spend the night in the plane, with some passengers saying they were stuck for nearly 18 hours. United did not confirm those reports. The passengers were forced to return to Newark after the plane was diverted to Canada. January 20, 2019. Passengers on the flight were forced to sit on the tarmac overnight after a medical emergency and mechanical problems. January 20, 2019. 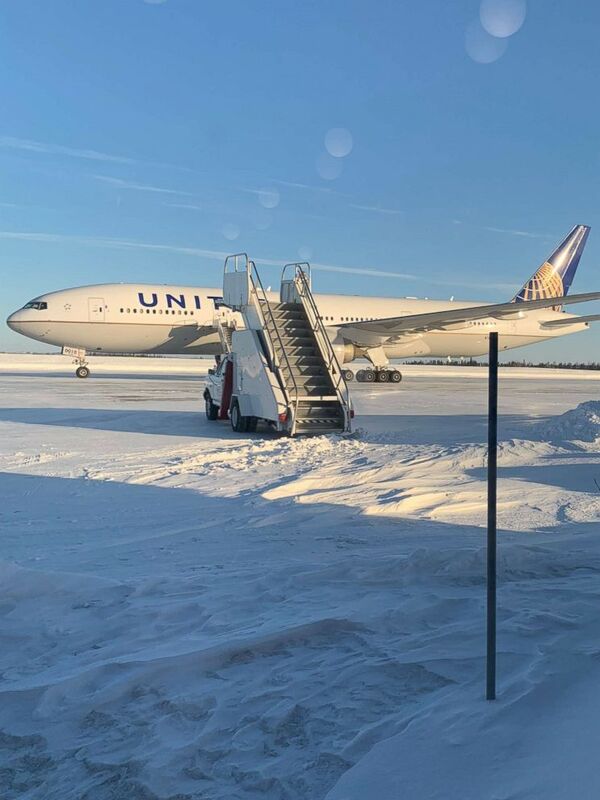 "I think there was miscommunication between ground crew at Goose Bay and the people running flights ops in Chicago," Liam Keefe, a passenger on the plane, told ABC News. "At the end of the day, the guy probably would have died if we didn't divert. That was the reason we were stuck for a long time." Chris Liew, who was traveling to Hong Kong for a meeting on Monday, said the the passengers were stuck for at least 16 hours. "I think by the third hour they knew something was wrong mechanically," he said. "They had time to send another flight. But they didn't until close to 12 to 13 hours later." "The breaking point," added Eitan Magid, another passenger, "was when you thought that airplane was coming to get us. They did come, but 12 hours late, and we get on that flight and we ask for food, and they said there was no food, only snacks like pretzels. I said, after 12 hours you brought pretzels and we've been sitting first class and eating food. And that's more and more and more adding to the whole incident. It felt like they didn't care." United said it sent a rescue aircraft to transport customers back to Newark on Sunday evening. The airline said the passengers departed Newark International Airport on the original flight at 3:03 p.m EST Saturday and arrived back in Newark at 5:44 p.m. Sunday.